Chronic pain in the muscles and joints can make life miserable. Standard treatments like ice and heat, anti-inflammatory medications, physical therapy, and appropriate exercises can often ease the pain. But when they don’t, acupuncture is an option with a good track record that’s worth considering. Over the years there has been substantial debate about whether acupuncture really works for chronic pain. Research from an international team of experts adds to the evidence that it does provide real relief from common forms of pain. The team pooled the results of 29 studies involving nearly 18,000 participants. Some had acupuncture, some had “sham” acupuncture, and some didn’t have acupuncture at all. Overall, acupuncture relieved pain by about 50%. The results were published in Archives of Internal Medicine. The study isn’t the last word on the issue, but it is one of the best quality studies to date and has made an impression. “I think the benefit of acupuncture is clear, and the complications and potential adverse effects of acupuncture are low compared with medication,” says Dr. Lucy Chen, a board-certified anesthesiologist, specialist in pain medicine, and practicing acupuncturist at Harvard-affiliated Massachusetts General Hospital. 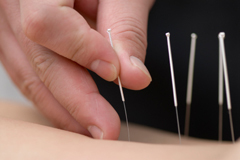 Acupuncturists insert hair-thin needles into the skin at specific points around the body. It is virtually painless when done by an experienced practitioner. Inserting the needles is thought to correct imbalances in the flow of energy in the body, called qi (pronounced “chee”). As I write in the April issue of the Harvard Men’s Health Watch, in Western scientific terms acupuncture is thought to ease pain by affecting neurotransmitters, hormone levels, or the immune system. For new pain, an acupuncturist should not always be your first stop. Dr. Chen recommends that individuals have clear diagnoses of what is causing their pain to rule out serious medical conditions that should be treated right away—and then seek out acupuncture if appropriate. How often is acupuncture needed? Plan on weekly treatments until you start to see a benefit, then gradually lengthen the time until the next visit. What does it cost? Acupuncture treatments range from $65 to $125 per session. Private insurers usually don’t pay for it, nor do Medicare or Medicaid. Some plans may cover the cost of a physician-acupuncturist. Who administers it? Ideally a trusted, certified provider. You can search for a trained acupuncturist at the National Certification Commission for Acupuncture and Oriental Medicine or by calling the organization at 904-598-1005. Acupuncture even before is already tested, however, not everyone is convinced with its effectiveness still it has its own market already and many believe in it’s accuracy. I received a couple of acupuncture session and at first I was so nervous but after a while I felt relaxed and very at eased. I have noticed a few posts about insurance coverage for “Obamacare”. Now, I am gar from one to be an alarmist, but the things we know are that “on paper” , unless radically modified or totally scrapped, it is obviously putting us on the path to socialized medicine. (Being invol ed in a group who has studied this in and out, there is a relative consensus that Obama, like him or dislike him is a man with intelligence of the average brain surgeon). Accordingly, as it stands, pri.ary care physicians stand to take another devastating blast with 25 to 37 % leaving medicine. Many surgeons and intensive care physicians will take a great hit. Ironically, concurrently the typical small business owner will not be able to afford the 50% rise in premiums (for far inferior care ), and find it cheaper to pay the fine for not proviiding care. I don’t want to beat a dead horse as you can read this anywhere. While you will read figures far worse than these, this is what to expect (Unless we have a virtual miracle in 2014. So, my point is, get used to it taking a year to see a specialist. Medical school enrollment continues to plummet on a daily baisis. Accupunction has been used for thousands of years. When it comes down to it, what does it matter if your insurance covers it when your co-pay………and I see them routinely at $50 (with $3000 deductibles) and am staeting to see them in the $70 plus range. So insurance, should Obama Care be initiated will be morw for trauma ans catastrophies. We are going to have to start tKing care of ourselves and making educated health care decisions and most likely pay for them the same way we pay for everything else. While, this is an outrageoua acam being perpetuated on the American people, it may serve to dramatically improve our ocerall health. So, my apologies for deviating from the subject, but I would dedinitely support accupuncture, but expect results within a reasonable time phrame. There’s some fantastic advice in this post. Extremely useful for anyone who’s suffering from issues with chronic pain. Do keep up the good work! Just an FYI that many insurance carriers will cover acupuncture by a Licensed Acupuncturist (L.Ac.) when treating pain… At least that’s the case in California. Thanks for the kind words on acupuncture. Chinese medicine is a wonderful thing for pain and more! Acupuncture is one of the most appreciated therapies used nowadays for chronic knee pain. Studies have also shown that they are very mush effective. Hello, I’m a firm believer in alternative therapies and chinese medicine. I have not tried acupuncture for pain, but I have tried acupuncture for stress and found that it was so effective during the treatment that I felt completely drained of tension afterwards and no longer stressed. I did not have any complications from this procedure and would gladly have acupuncture again. My girlfriend has had acupuncture for jet-lag with positive results. I guess sometimes people can think that alternative medicine is an airy-fairy treatment, but remember that acupuncture has been practiced for years and is amongst the oldest healing practices in the world. As far as the placebo effect, I think that if it works for the patient and if the patient believes that it will work, then its a win-win situation. Then it comes down to mind over matter and the power of belief. An overwhelming “Yes” to the use of acupuncture for chronic pain. We use it extensively in our office for both acute and chronic pain and, most of the time, it works. The result: a relieved patient and no drugs or surgery involved. Thank you so much for promoting credibility and authority for this very important holistic treatment modality. The author presents a fair and balanced view of modern research. There are plenty of placebo randomized double-blinded controlled trials demonstrating the efficaciousness of acupuncture. 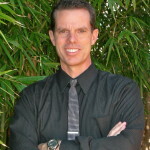 Seee: http://www.healthcmi.com/acupuncturist-news-online for examples. In addition, there are meta-analyses of clinical trials and laboratory serum biochemical and fMRI studies demonstrating the efficacy of acupuncture and the mechanisms by which acupuncture exerts its beneficial effects. Naysayers are merely unaware of the wide body of quality research that has already been completed. Further, I suggest that placebo controls are not entirely relevant to the examination of acupuncture as a previous commenter suggested. Acupuncture is an invasive procedure requiring a highly skilled practitioner. Should be also insist upon placebo controls for surgeries? Neither acupuncture nor surgery are well suited to this type of investigation. Nonetheless, clever researchers have developed placebo controls for acupuncture studies and demonstrate its efficaciousness. Also, animal studies also demonstrate efficaciousness as well. 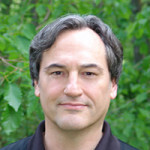 Sean Feeney D.C., M.S., F.I.A.M.A. In regard to the above stated post noting the absense of a placebo in the vast majority of accupuncture studies, while there are some exceptions, but I think that it is safe to say that unfortunately the magority of physical medicine procedures do lack a placebo controlled group. There are several obvious reasons for this and it is my opinion that the desire to produce poor research is at the heart of them. 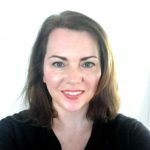 As it appears to me and many colleagues whom I have spoken with, it is simply quite difficult to invoke a viable placebo with accupuncture and I would also say that one must consider the simple fact that the lack of grant money for such studies certainly doesn’t make the situation any easier. The most compelling argument, as I see it is the simple fact that, as far as I am aware at least, animals tend to be relatively non-responsive to the placebo effect. Additionally, one should consider both the wide disparity of skill levels of practitioers and techniques utilized. Great article. I received acupuncture over a three year period. I initially went in for a L-2 issue and some digestive issues. Along with clearing these issues, I also received the added benefit of a loss of my insomnia, knee pain and fatigue. I now go for a preventative care plan once a month. I could not say more great things about the level of care, attention and most of all, the results. I recommend acupuncture on many occasions to work in conjunction with my osteopathic practise and seen great results. A great blog thanks for the article. Worked for me! Oh Acupuncture in Annadale, VA is the best! Generations of family experience, I was very nervous the first time, but now a full believer. Acupuncture therapy is a great sort of pain reliever which works at the mean time without delaying the effect. Though it looks difficult but many prefer acupuncture for pain relief. My name is Levinson i am 35years old. I used to suffer from chronic pain a lot. I was not interested in using medicines as it may give side effects furtherly. I tried for physical therapy and general exercises. later on i came to know about the Acupuncture treatment then i tried for it it shown a good result. I don’t have any complications in this treatment. Hard to believe that here is an article dealing with acupuncture which makes no mention of the placebo effect, the most likely explanation for any positive response to acupuncture. Claims of acupuncture effectiveness found in journal articles often reflect how poorly the studies were performed. There is a reason why insurers will not pay for acupuncture treatments. Actually you are wrong. Kaiser Permanente includes acupuncture as part of its preventative care. Medicare in California also covers acupuncture. A cost benefit analysis at Kaiser was done and over time, pts who received acupuncture had less surgery and better overall outcomes. Also I don’t know where you live, or when you last checked but many plans do cover acupuncture these days. As far as placebo, acupuncture is practiced effectively on children and animals which do not receive any perceived placebo effect. Acupuncture is truly one of the safest medical procedures in training today. It is minimally intrusive. The massive vast majority of skilled acupuncturists in the United Claims will utilize per-sterilized, one-time use needles.